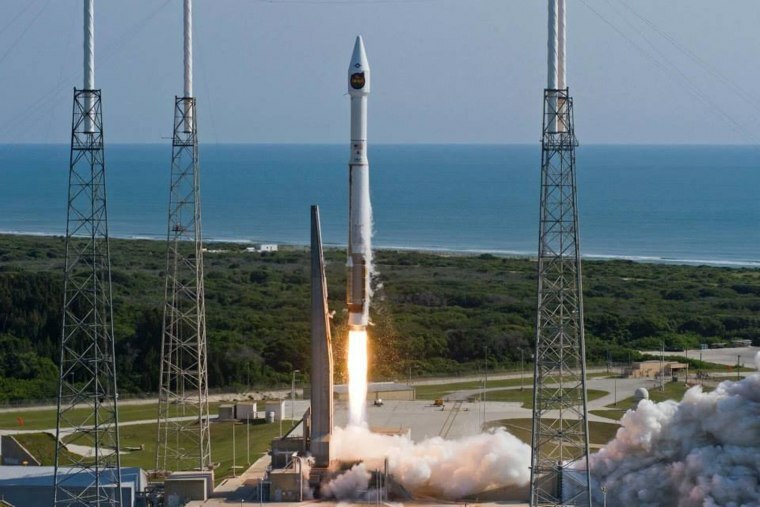 An unmanned Atlas 5 rocket blasted off from Cape Canaveral Air Force Station in Florida on Thursday with a classified satellite for the U.S. National Reconnaissance Office. The rocket's manufacturer, United Launch Alliance, shut down its live webcast under a prearranged news blackout ordered by the U.S. military. While the NROL-33 mission unfolds under a veil of secrecy, the Atlas 5 and its future are the subject of an increasingly public debate. The fact that the launcher uses Russian-made RD-180 engines has sparked questions about the U.S. space effort's reliance on Russian hardware — and calls from Congress for a shift to U.S.-made alternatives.